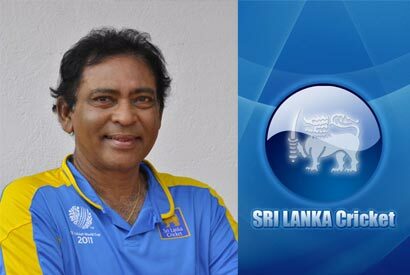 Former cricketer and commentator Ranil Abeynaike has passed away today at the age of 57. He had been receiving treatment at a private hospital and died of a heart attack. He has played first-class cricket for Sri Lanka, List A cricket as well as English county cricket for Bedfordshire. The Right-hand batsman also played for Sinhalese Sports Club (SSC). In his first-class career(1973-1990), he played fourteen matches, scoring 412 runs at an average of 24.23, with a high score of 66. With the ball, he took 9 wickets at a bowling average of 40.00, with best figures of 6/131. As a commentator he has commentated on cricket for United Arab Emirates based sports broadcaster TEN Sports since 2004. MAY YOU REST IN PEACE, DEAR RANIL ABEYNAIKE,THE POPULAR COMMENTATOR WITH A GOOD HEART. He will be remembered for his flawless english and his exellent presentation of his commentry.His demise is a great loss to the cricket loving public in SriLanka. My Deepest sympathies! May You rest in peace! He is a good man. May the Lord grant him eternal peace and joy in Heaven!